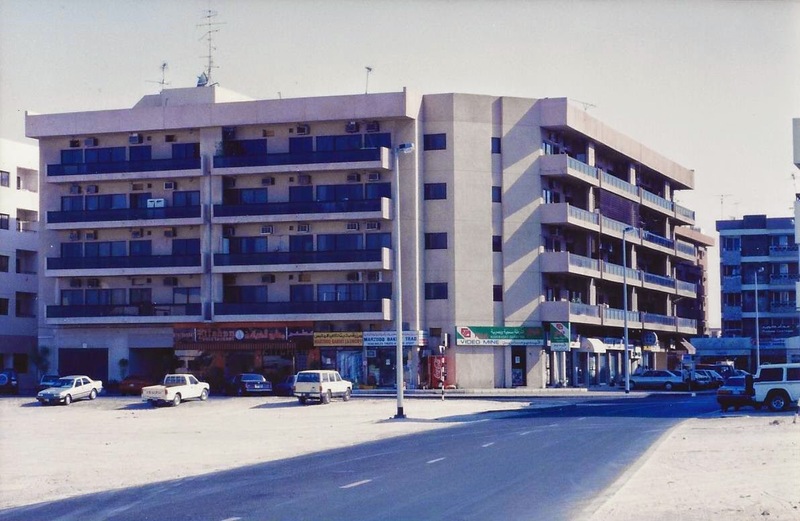 When I worked for an irrigation/landscaping company near the Dubai Trade Centre, I was provided a charming apartment in Satwa, just off what we called "Satwa High Street," quite close to Jumeirah beach. 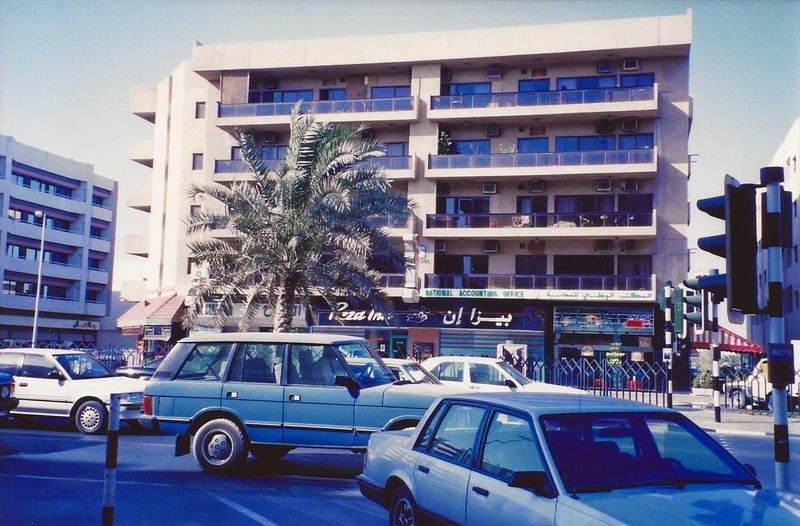 The apartment building was named, "The Pizza Inn Building" though it had a real name which I cannot remember. I was a "Satwa Sally" -- a single girl living alone and supporting myself. 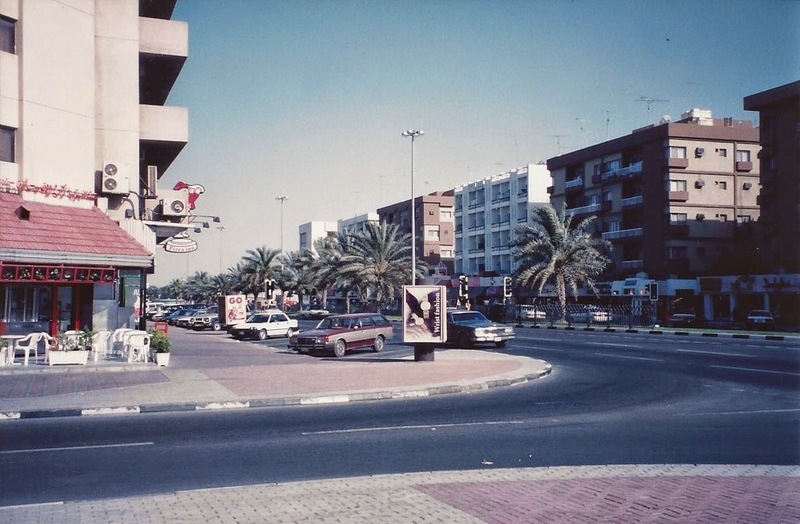 A married, non-working woman who lived in Jumeirah was referred to as, "a Jumeirah Jane." 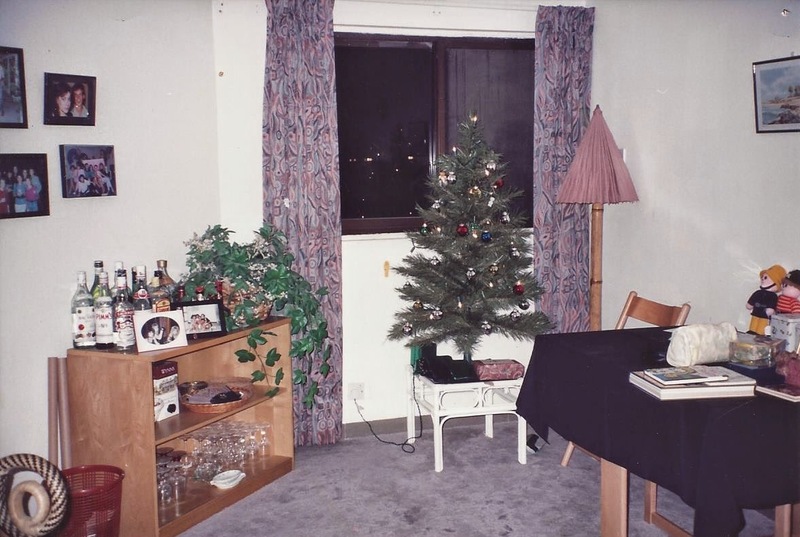 Here is my apartment at Christmas, 1991. I worked really hard to get my decorated tree high enough to be seen through the window so it would be the one lone Christmas tree visible in that sandy part of town. As you will observe from the exterior shots, there was no way it was going to work. And it didn't. Take a look at the drinks table on the left. I'm stunned to note the amount of available booze and wish I could remember if this was purchased just for Christmas or if I always stocked my bar so well. I didn't like most of the stuff I had to offer. Check out the sandy car park where I used to park my snazzy little Mazda. It's covered with buildings now. Close up on rear view of my apartment building, nothing visible. Look above the green awning for the second floor (third floor) window just to the left. Using English language, the shops are on the ground floor, then there is the first floor, and I lived on the second floor. 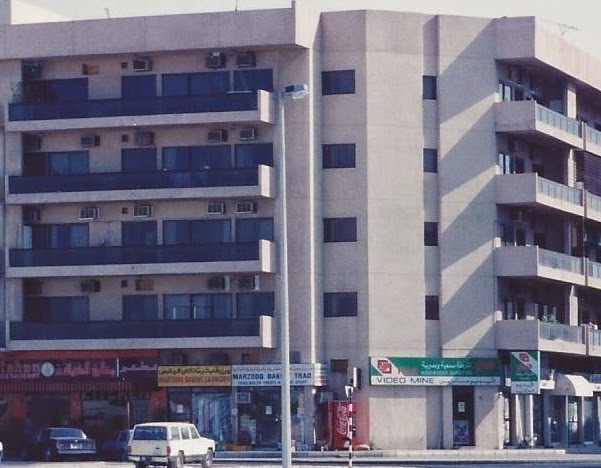 In the US, the ground floor would be called the first floor so I lived on the third floor. The two French windows on the left were mine, and the square window is the Christmas tree window. Then the little window directly above the green awning was mine, and the big balcony to the right is mine. Any questions? To give you some perspective, here are shots of the Pizza Inn Building from the side and the front. It's all changed now apparently but it was a brilliant place to live back in the early 1990s.